Family is more than just a word. 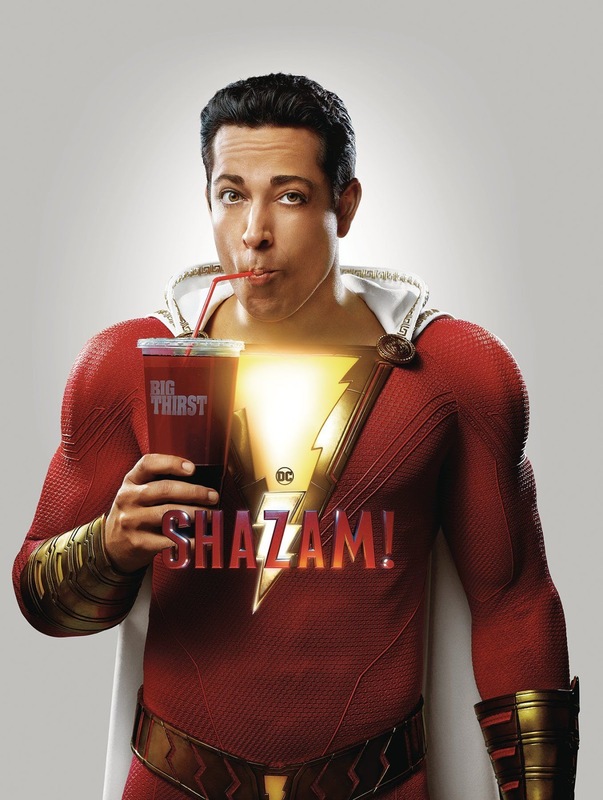 It's also the central theme of the latest DCEU release, "Shazam," a notably more youth-oriented film in the successful franchise than its predecessors. Though Zachary Levi has been the face of this film, it's Asher Angel whose dramatic performance is the most important grounding point of the film. At only sixteen years old, Angel brings an incredibly honest and heartfelt performance of Billy Batson, a child on the run and searching for a family and home to call his own. It's no surprise that Levi's comedic chops are put to good use as the 'Shazam' persona that manifests when young Billy is gifted with the ability to transform himself into a virtually indestructible superhero. Levi's exuberance and infectious charm are sure to garner him a whole new legion of fans once this film has it's wider release. Mark Strong is another strong point of the film, as the tormented villain Dr. Thaddeus Sivana, who has spent his life searching for the same power that Billy eventually gains. Strong has had a career full of successful runs in characters with grit and darkness, and this is sure to be another fan-favourite role in his body of work. The stories for both Billy and Sivana fit together cohesively, for how they reflect the opposite ends of the spectrum in regards to childhood loss and trauma. While both characters are given back story to bring explain some of their worse habits, their arcs across the film reflect the deeper message that in the end it's not traumas that define a person's worth in life but their actions instead. The diverse ensemble cast offer an excellent range of solid performances, from the other foster children to the supporting characters of Sivana's story. Director David F. Sandberg also treats the adults in the audience to some creative horror-influenced imagery without being too intense for the many children that are sure to turn up for this fun ride.